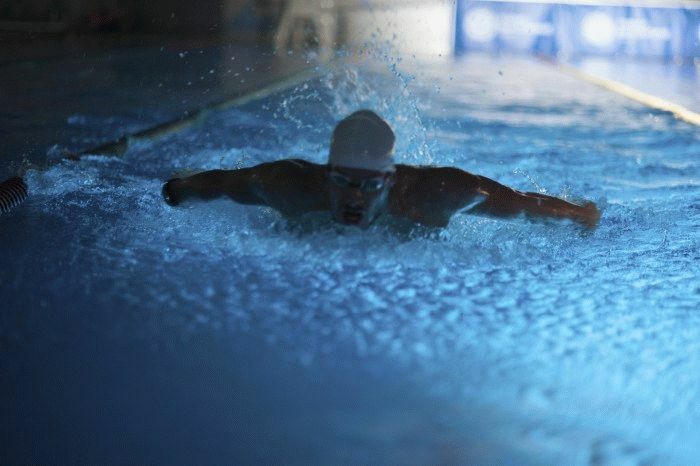 Many swimmers ask about this so we’ve decided to give you some tips on how to get rid of the chlorine smell from your body and hair after a swimming workout. The smell comes from chlorine and chloramines layered on your skin and there’s actually quite a lot of ways to get rid of it. Immediately after getting out of the pool take a hot shower and simply wash your hair and skin with a regular soap or shower gel. Additionally, put a leave in conditioner on your hair. In 99% of cases, this will be enough to get rid of the smell and feel comfortable leaving the pool. If that’s not enough you can keep reading as we have few more ideas for you! Vitamin C naturally counters chlorine and gets rid of the smell the question is what is the best method to apply it. For the fans of home remedies we recommend lemon juice – simply squeeze a lemon and dilute it with water (1:4 ratio) apply to your body and let it dry. Another way is Vitamin C crystals that you can also dilute with water. Both of these methods should work but if you don’t want to use too much of your time there are also ready to use lotions and shampoo products. This is one of the easiest ways to care for your hair in the pool and will, of course, keep your hair dry and far from chlorine smell. It also protects some types of hair from discoloring. This is an additional tip to the previous one. To prevent your hair from sucking up chlorine in the pool you can rinse your hair in the shower before going to the pool. This one is our last and ultimate tip – if you have a problem getting rid of the chlorine smell you can also look for a swimming pool that keeps water clean without using chlorine. what you need to look for are swimming pools using ozone or UV Light – the latter not using chemicals at all in the process of cleaning the water. Knowledge is the key to becoming a winner. Know more with Swimmo. 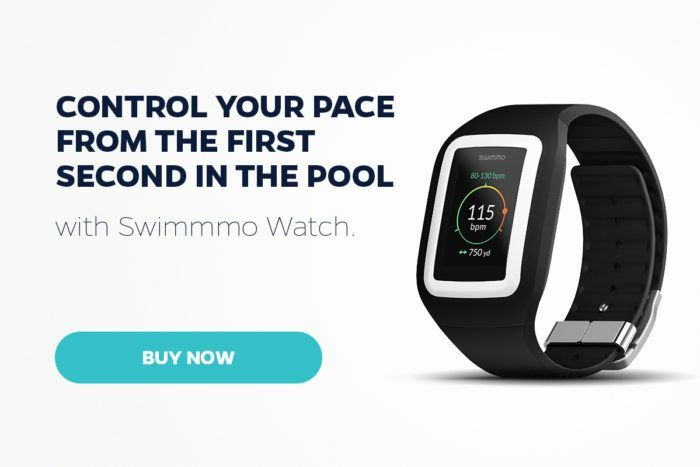 Swimmo is a next-gen smart swim watch. Monitor your swim. Set goals to stay on track. 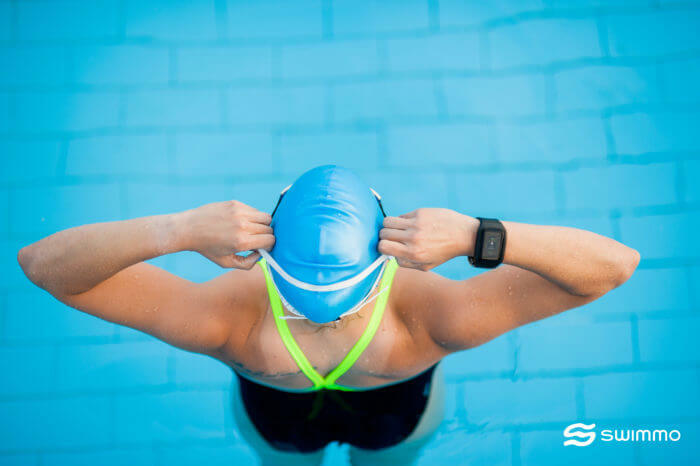 Swim smarter with IntensityCoach™, PaceKeeper™ and heart rate monitor.